PVCu is the abbreviation of Un-plasticised Polyvinyl Chloride and is exactly the same product as uPVC. In day to day use the terms have become interchangeable but officially PVCu has been used since the late 1980’s, bringing the UK into line with the rest of Europe. This is simply because in most European languages the noun (PVC) is placed before the adjective (unplasticised). Polyvinyl Chloride (PVC) is a chemical compound of chlorine, carbon and hydrogen originating naturally from petroleum, natural gas and sodium chloride (common salt). PVC is commonly used in ‘plastic’ sports bags and some shoes after being modified by softening it with the addition of ‘plasticisers’. Un-plasticised Polyvinyl Chloride means that the product has not been modified and therefore not softened, but in its pure form it is still not entirely suitable for windows and doors. Stabilisers and additives are required to improve the longevity, and ensure that it is UV stable and does not discolour. The amount of these additives differs from one manufacturer to the next to form different compounds, though two common additives are acrylic to harden the compound and Titanium Dioxide to make it appear whiter. 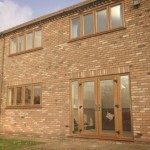 How many different types of PVCu profile are there for PVCu doors and how do I tell which is the best for me? PVCu profiles for PVCu doors are also available in a wide range of colours including 6 different shades of white, woodgrain effects attempting to replicate, mahogany, oak and rosewood among others, and solid colours such as red, blue, black, green and cream. When specifying white PVCu windows it is important that the frames and sills are made from the same compound and therefore are the same shade of white. O1 is the ‘whitest’ shade of white but it would be unsatisfactory to fit it onto a ‘creamy’ coloured white sill. The issue is highlighted when it comes to conservatories as many installers use conservatory roofs and frames from different manufacturers. This could result in the frames being a different colour white to the roof spars – and sometimes a different white again from the sills and trims. Those PVCu extruders which manufacture their own PVCu profiles for the many types of window and door frame, conservatory roofs, trims and sills are therefore at a distinct advantage as they can offer a colour match across the full range of products. Add to that all the different types of insulating glass sealed units that are available – clear and obscure, float, toughened and laminated, different thicknesses of glass and widths of sealed unit – and there are an infinite number of combinations, each being more suited to one application than another. 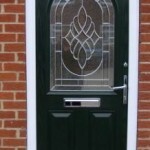 The many different types of decorative glass such as Georgian bar, leaded designs, coloured and bevelled glass add not only to the choice but also to the confusion. The choice widens even further when conservatories are included in the equation as glass roofs can now include anti-sun and self-cleaning glass, and that doesn’t account for the many types, colours and thicknesses of polycarbonate sheets for conservatory roofs. 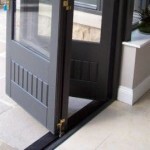 One of the many reasons for replacing your existing doors is the excellent safety and security features offered by the very latest advanced PVCu door systems. Old wooden doors tend to have poor locking systems and glazing which is fixed into the frame with either putty or an external quadrant bead held in with panel pins. 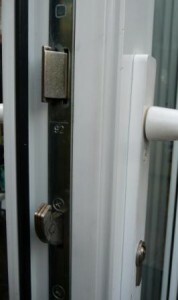 Even the early PVCu frames offered very little in the way of resistance to potential burglars, with poor locking systems, external beads and frames without reinforcement. 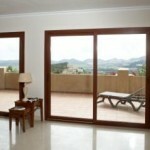 • Door panels should also be reinforced. Wooden doors often have thin wooden panels which can be kicked in by a burglar and early PVCu doors had PVCu panels with no reinforcement which allowed them to be kicked in, cut through or even burnt through.